JONESBORO, Ark. – A release says officers kept busy over the weekend dealing with a suspect who reportedly barricaded himself in a home after a domestic dispute. On Sunday, April 15, 2018 Officers with the Jonesboro Police Department received a call requesting they respond to a Domestic Disturbance. At approximately 6:30 pm Officers were called to the 200 block of Puryear Street where a witness told them they observed an adult male subject physically attack an adult female and then drag her inside a home. Contact was attempted at the home and no one would come to the door. Officers began receiving text from subjects in the home that the male subject was refusing to let anyone leave the home and he was possibly armed with an unknown type of firearm. Officers were able to identify the male subject as 31 year old William Neal Toney through information given to them by witnesses. Officers on the scene were able to confirm that Toney has outstanding Felony warrants for his arrest through another agency. SWAT team members and the Crisis Negotiation Team were activated and called to the scene. Just prior to the implementation of those teams, Toney exited the home and surrendered to Jonesboro Police Department Officers. Toney was taken in to custody without further incident and the female was contacted and found to have minor injuries. 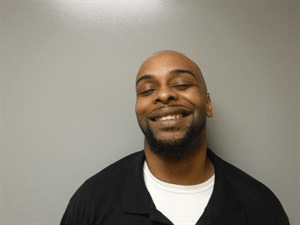 William Toney will be left in the custody of the Craighead County Jail with Domestic Battery charges and a hold will be placed on him to be handed over to the agency with the Felony Warrant.